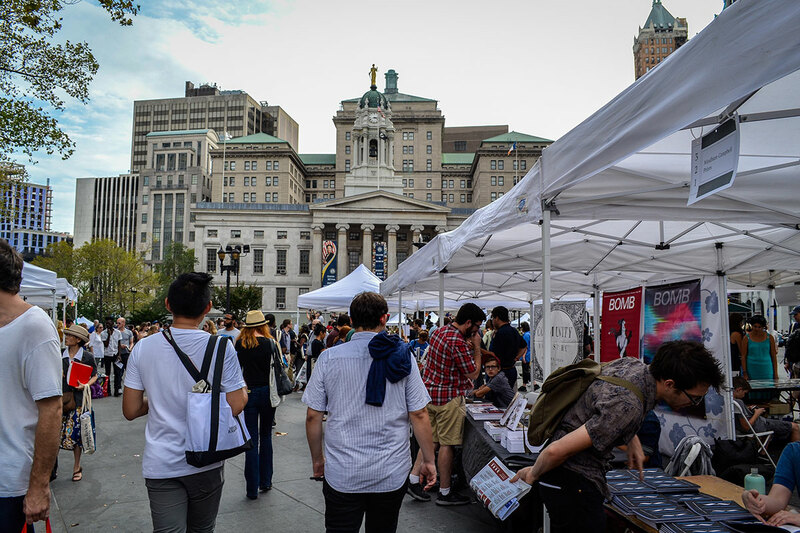 Celebrating its eleventh year, the Brooklyn Book Festival hosts writers from around the world and highlights the literary landscape in a two-day book extravaganza. The festival not only includes scores of booths from book publishers and authors but features distinguished panels and workshops ranging from politics to science fiction to children’s storytelling and everything in between. An estimated forty thousand people were expected to attend the 2016 festival, and organizers recently added Saturday as Children’s Day, along with the normal Sunday lineup. 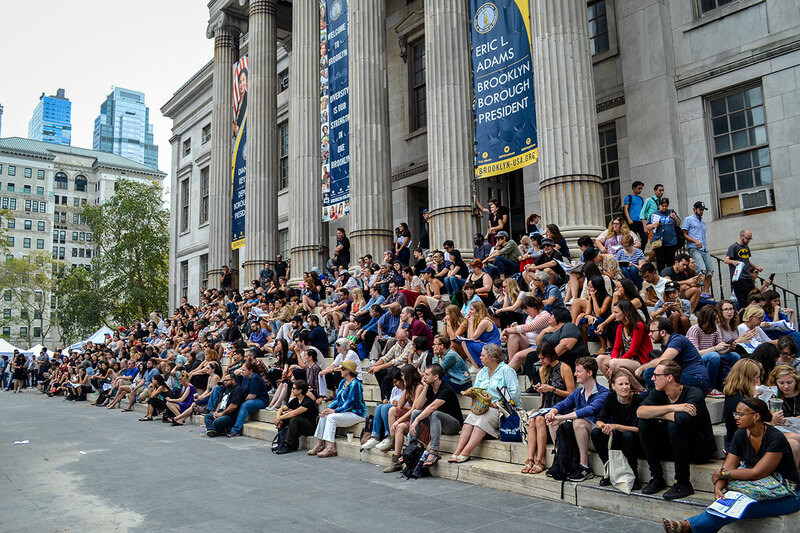 It’s the largest free literary event in New York City. The international feel of the festival mirrors the diversity of Brooklyn. 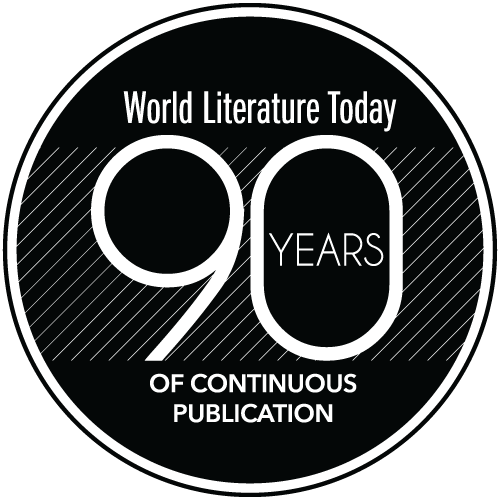 With three hundred authors coming in from twenty different countries, the event has something for every type of reader. 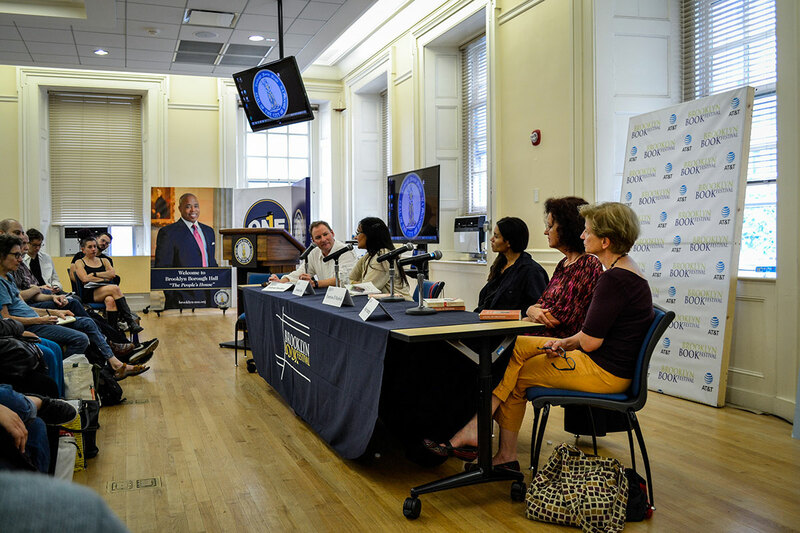 There are bookend events, which take place in coffee shops, libraries, and bookstores the week leading up to and after the festival. 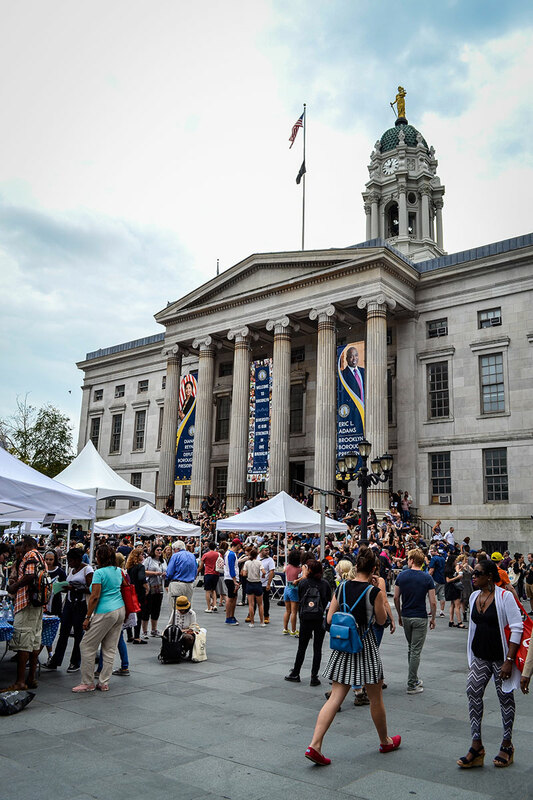 Each year the festival honors an individual who embodies the spirit of Brooklyn with her or his writing, and Jacqueline Woodson was the recipient of this year’s Best of Brooklyn Award. I attended one of the bookend events hosted by members of the PEN America Translation Committee highlighting censorship and translation. 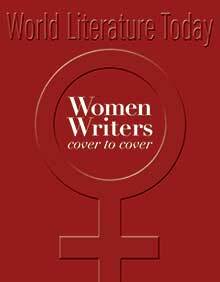 Entitled “Banned but Translated,” it featured translators Alex Zucker, Allison Markin Powell, Chip Rossetti, Daniella Gitlin, and Jenny Wang Medina, who read sections of works from Nawal El Saadawi (Egypt), Orhan Pamuk (Turkey), Yan Lianke (China), Magdy El Shafee (Egypt), and Anna Politkovskaya (Russia). 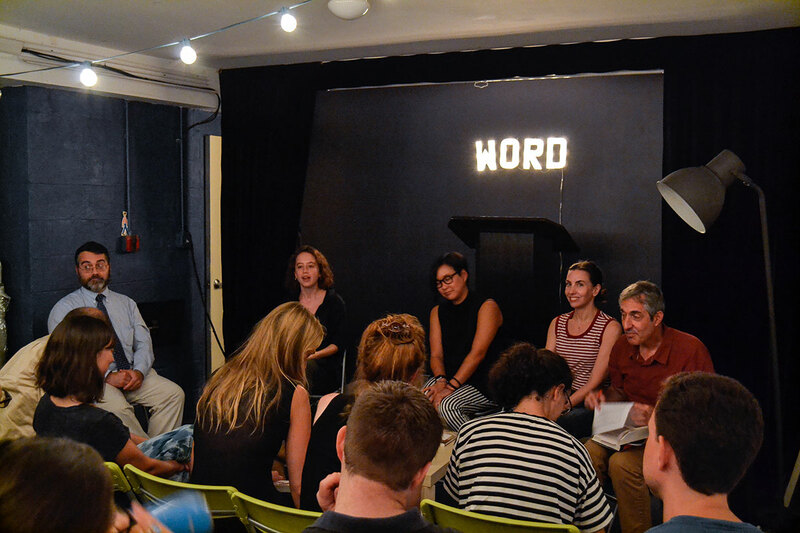 The ensuing discussion among the audience and translators focused on different forms of censorship and the challenge of translating works into other languages because of cultural restrictions or other obstacles. 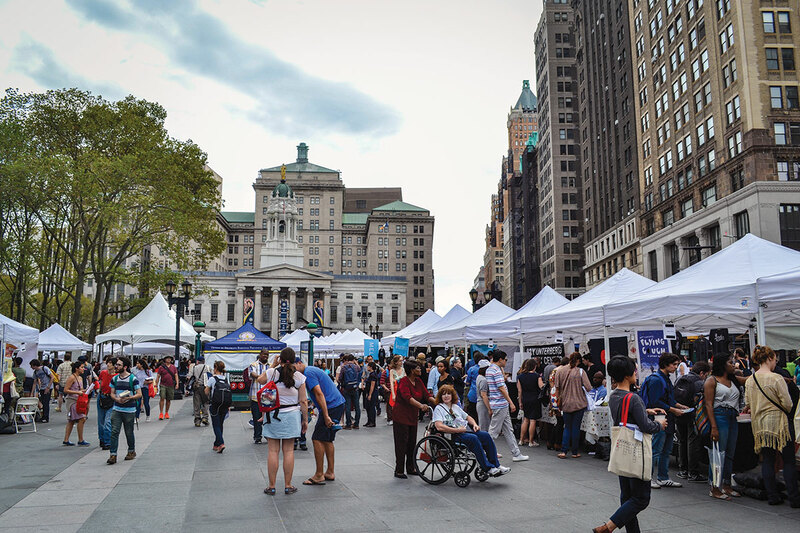 The vendor booths line up in downtown Brooklyn, right in front of Brooklyn Borough Hall. Photo by Laura Hernandez. 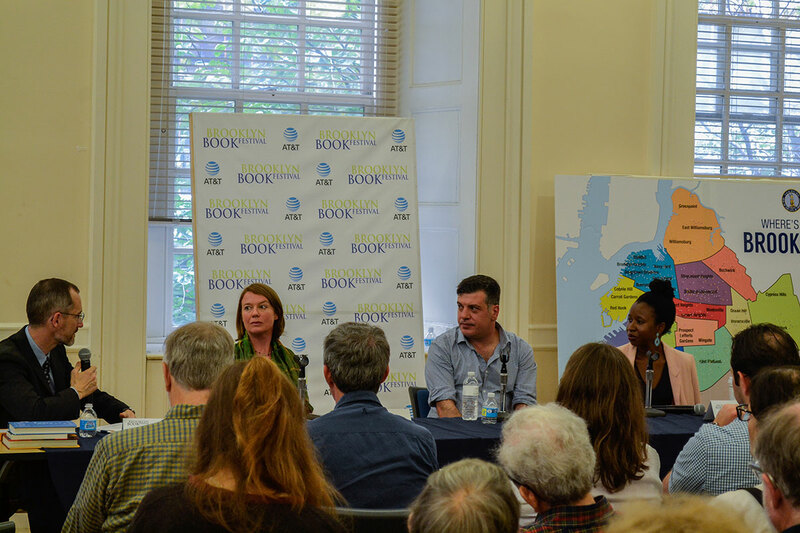 Sunday’s “Occupy and Resist” panel featured the Czech Republic’s Magdaléna Platzová, Cameroon’s Imbolo Mbue, and Arab-Israeli’s Sayed Kashua speaking about cultural dynamics and geopolitical forces in their writing and how that shaped the characters in their novels. 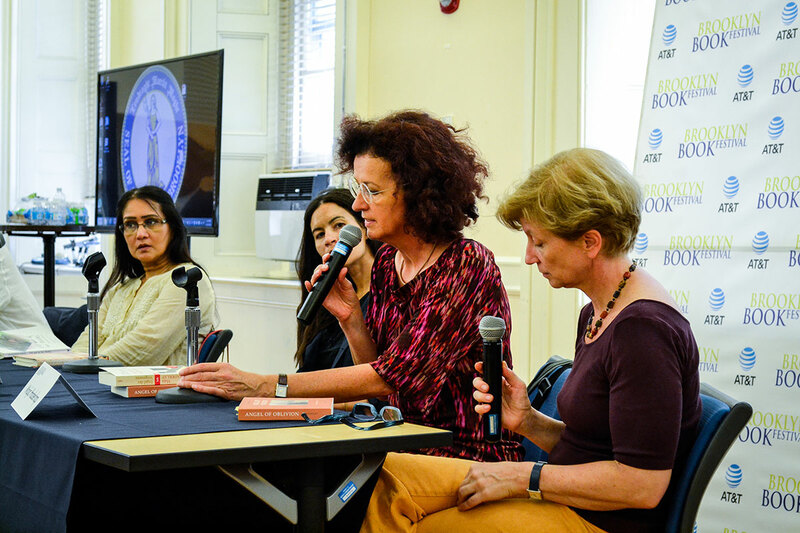 I also attended the “Political Coming of Age” panel, which discussed the intersection of politics and identity in three novels from Egyptian Yasmine El Rashidi, Mauritian Ananda Devi, and Slovenian-Austrian Maja Haderlap. 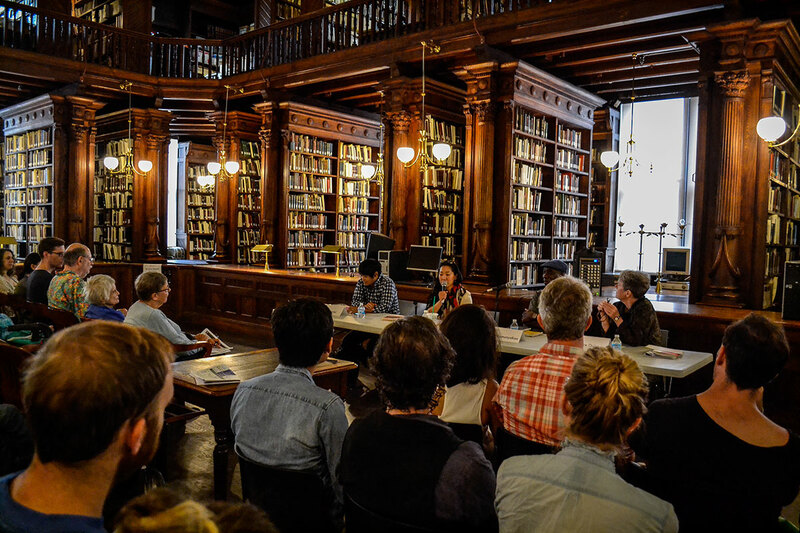 I also enjoyed hearing Brooklyn poet laureate Tina Chang, former Queens poet laureate Paolo Javier, and New York State poet laureate Yusef Komunyakaa read selections of their poetry in a beautifully ornate library tucked away in the Brooklyn Historical Society. There’s a sense of kinship as you walk through the booths because everyone you walk past shares one major thread of unity—a love of reading—and that’s evident as you eavesdrop on conversations. 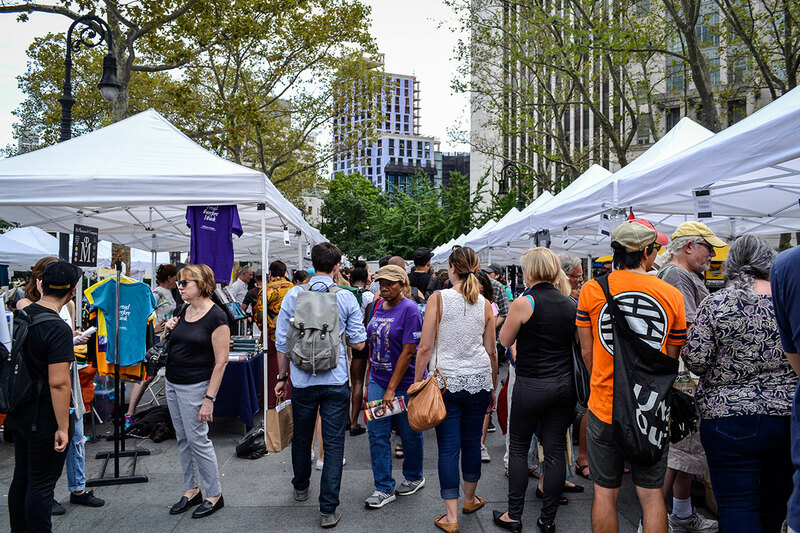 With such a rich and diverse combination of events and vendors, it’s easy to see why the Brooklyn Book Festival attracts so many people each year. Laura Hernandez lives and writes in Brooklyn.